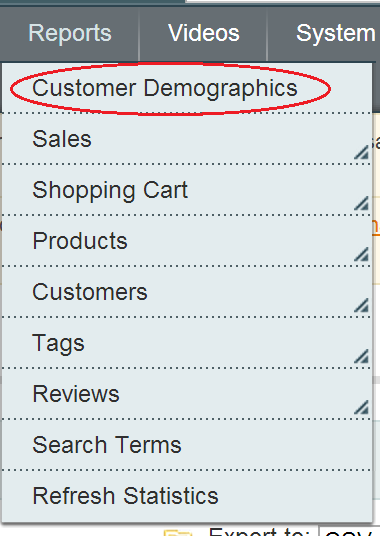 The Customer Demographics extension lets you create customer reports by the order date, product bought or even by category shopped from. Find out the demographics of your customer buying specific products and shopping in specific categories on your online store or You can even create reports for the purchases made on particular dates and during specific shopping seasons! 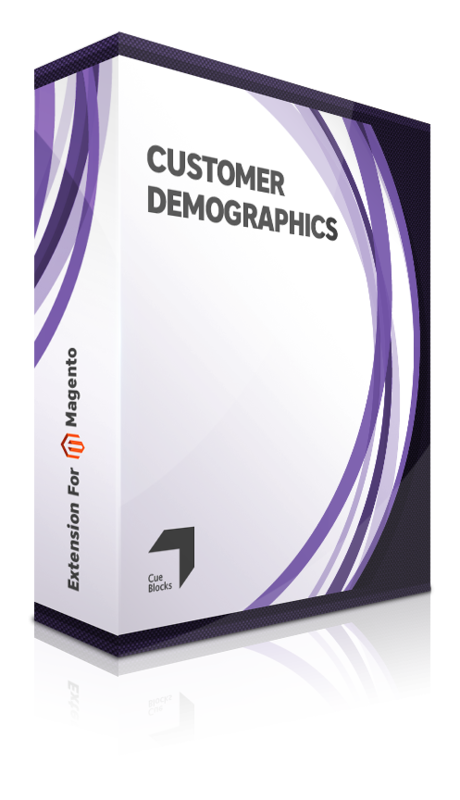 Customer Demographics Reporting extension by CueBlocks lets you create Customer Reports in Magento by the order date, product bought or even by category. Increase the Customer Lifetime Value (CLV) by getting these very useful and critical statistics about your customers and tweaking your online marketing campaigns accordingly. 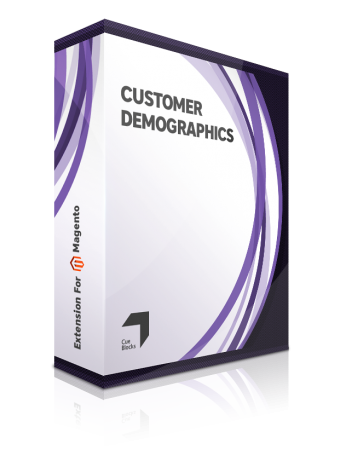 The Customer Demographics Reporting extension brings out the most crucial stats of your Customer base, in a very simple format. The segmented data can help you target your online marketing campaign better and help you provide your customers with the offers they are actually interested in based on their interest and past behavior! 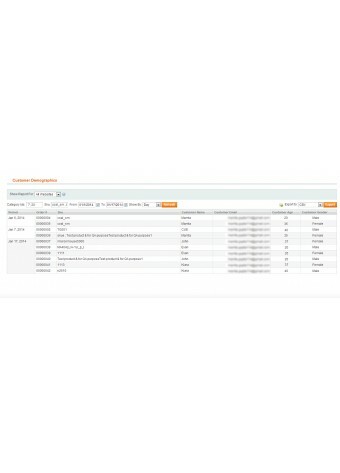 With this customer reporting extension in the Magento back-end, you can filter the customer information by order date or product SKU/s. You can even filter by multiple categories. The extension accepts comma separated values for the product SKUs and category IDs. 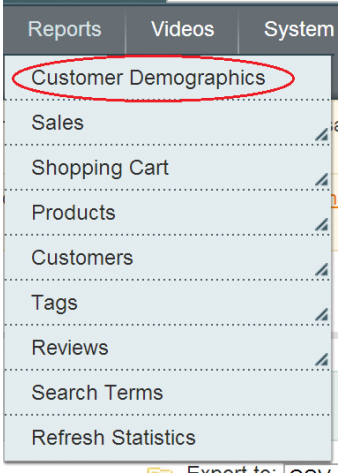 The Customer Demographics Reporting extension outputs the selected customer information (name, email, order number, product SKU and other information like age and gender if your store is collecting the data). The customer report can be exported in CSV format. # Want to make your Magento store SEO friendly? Get the XML Sitemap PLUS Generator & Splitter and get your pages indexed with Google and Bing via Webmaster Tools the right way! Contact CueBlocks for Magento development or eCommerce marketing or any questions you may have. CueBlocks is an E-commerce Design, Build and Marketing company. We let you call Shotgun! Get the front passenger seat and be the first one to get all the news on our latest offerings, new features, fixes and upgrades to the existing products. Two things we don't share with anyone- last slice of pizza and your email address.